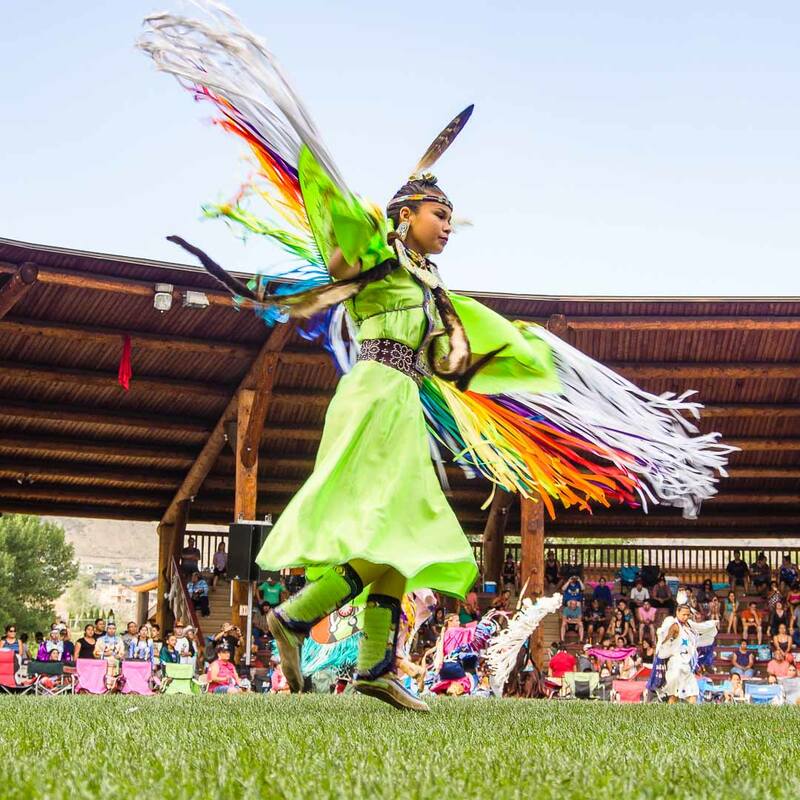 One of Western Canada’s biggest celebrations of Indigenous cultural heritage takes place this year from August 3 to 5 in Kamloops, and everyone is welcome to join in the fun. 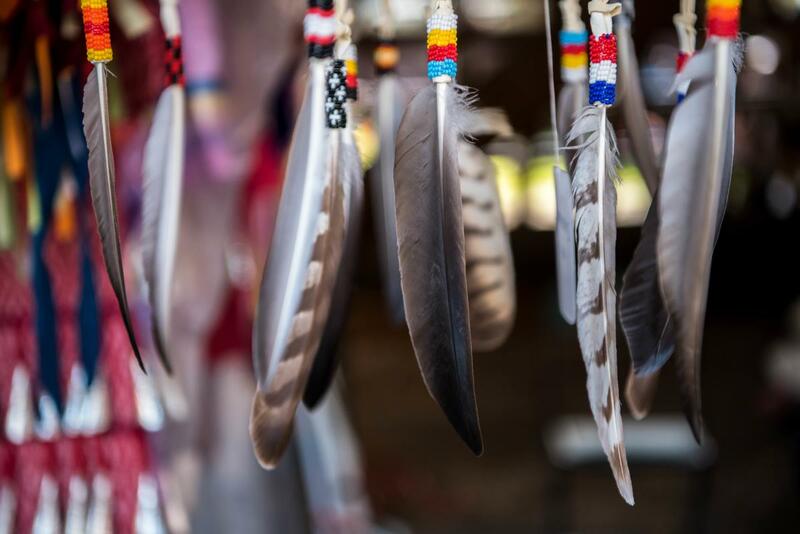 The Powwow takes place at the Tk’emlups te Secwepemc “Special Events Facility” Powwow Grounds with events throughout the weekend. (General admission costs $10 per day or $20 for a weekend pass.) Here are five highlights. 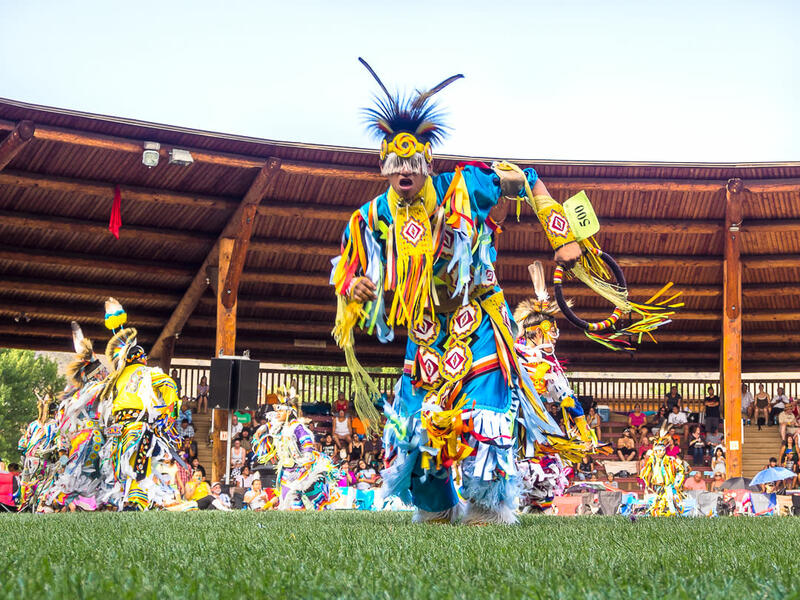 This opening ceremony with a procession of dancers and blessing of the dance area takes place four times throughout the weekend: Friday, August 3 at 7 pm; Saturday, August 4 at noon and 7 pm; and Sunday, August 5 at noon. 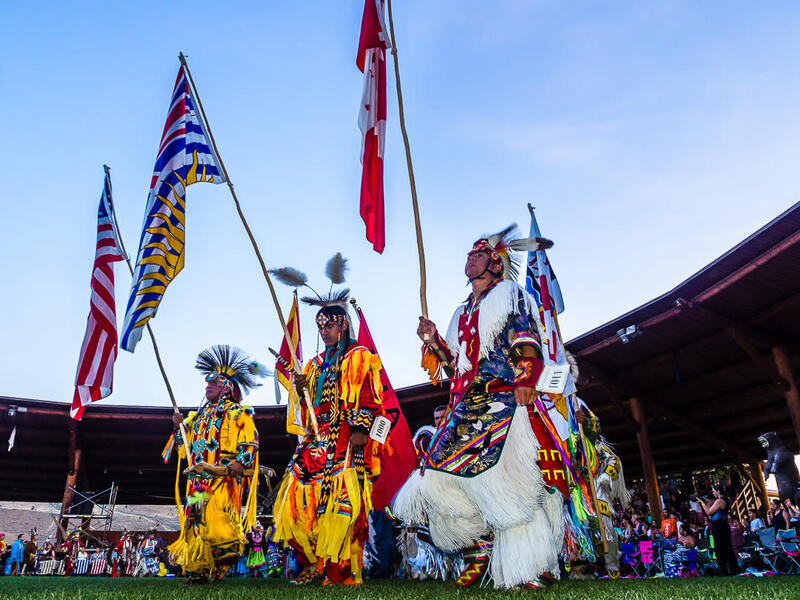 Participants will be wearing a variety of impressive regalia, or ceremonial dress. Narcisse notes that the regalia is sacred to each person wearing it, so visitors should ask before touching or taking photos. Both men and women’s competitions on Saturday night (August 4) feature a dramatic dance-off. After the judges eliminate most of the dancers, the lights go dim. The final contenders give it their all--one by one under the spotlight--to the delight of a cheering crowd. “The drum is the heartbeat that we dance to,” explains Narcisse. 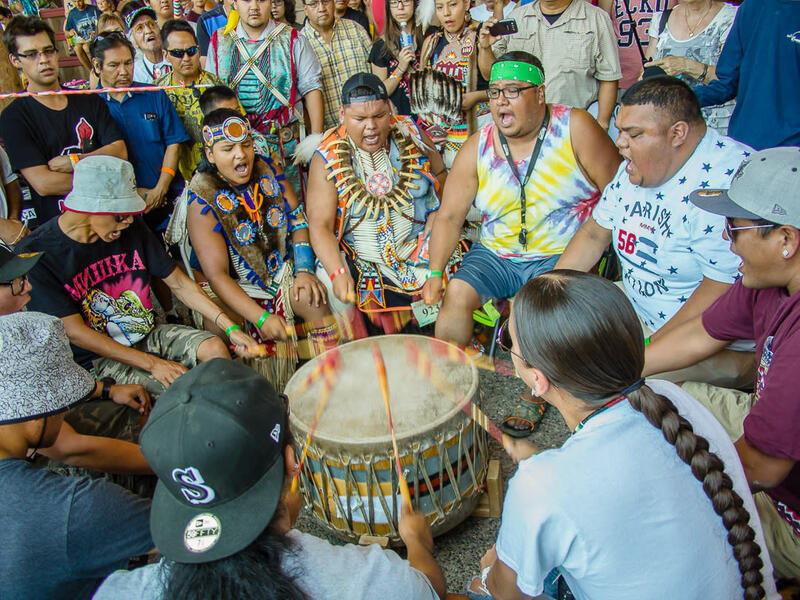 Drumming and singing accompanies the dancing all weekend. In addition to traditional arts and crafts booths, there will be food on site. Look out for bannock, a traditional indigenous fry bread, as part of a bannock burger or as the base of a taco with all the fixings.